Few US presidents have captured the imagination of the American people as has Harry S. Truman. In this biography, Robert H. Ferrell, widely regarded as an authority on the thirty-third president, challenges the popular characterization of Truman as a man who rarely sought the offices he received, revealing instead a man who-with modesty, commitment to service, and basic honesty-moved with method and system toward the presidency. No other historian has ever demonstrated such command over the vast amounts of material on Truman's life. 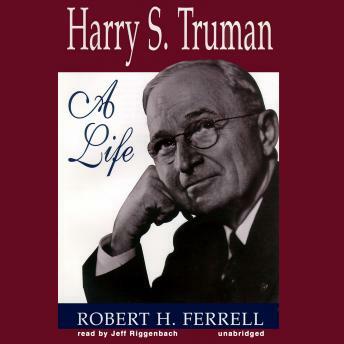 Based upon years of research in the Truman Library and the study of many never-before-used primary sources, Harry S. Truman: A Life is destined to become the authoritative account of the nation's favorite president.